We really got lucky filming this big pass, as more often than not it's either raining or misty. 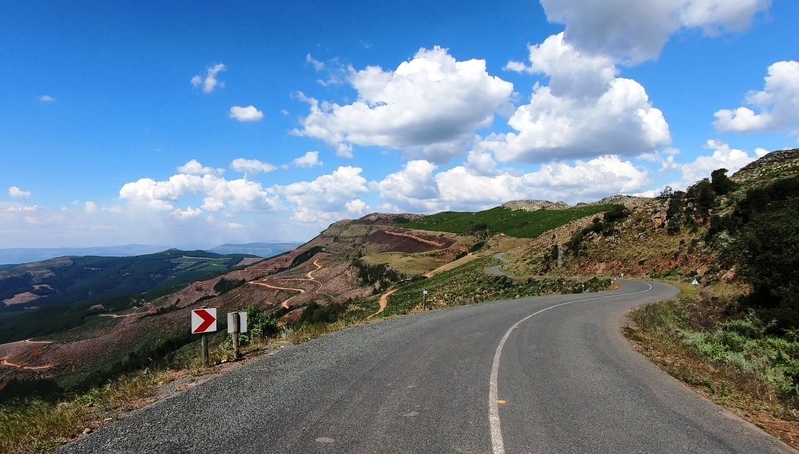 With a summit height of 1970m and a 1065m altitude variance over 27,4 km and 117 bends, corners and curves, the Clivia Pass provides magical views in pristine conditions, but be aware of the multiple dangers inherent on this restricted road. In our news release today, we unpack all the do's and don'ts of this pass, as well as explore other passes news including an update on the Ben 10 Eco-Challenge. It would be interesting to know how many Wild Dogs members have attempted or completed the challenge? So far less than half of those entered have been able to complete it. Re: The 3rd biggest altitude gaining pass in SA! Thanks you for such a wonderful source of info that you must have all put so much effort into. It's been a great source of info in the past and I'm sure in the future. Clivia Pass really is beautiful and such an extreme change from top to bottom. A must do pass for everyone at some stage.